Living in London is for everyone. Some people might be concerned about moving to London with a young family, but it can be one of the most rewarding experiences of your life. Once you have settled into your London rental home, and the kids have gotten to grips with the weather, the food and have had enough of CBeebies on the telly, then you might want to head off for the day to one of the theme parks and attractions that have been designed specially with the kids in mind. Theme parks and amusement parks are a relatively ‘new’ aspect of entertainment for people in the United Kingdom. The weather always seems to play havoc with a day out, but these days the amusement parks are geared up for all sorts of weather conditions and they have rides that can be enjoyed in all weather conditions. Once you have been living in London for a little while you will be comfortable with going out in any weather conditions, so slip on a pair of willies, grab your Mac and you’re ready for anything! London for Kids – Chessington World of Adventure. Closer to home than Alton towers, the Chessington World of Adventure is located in the south-west of London and is an amusement park, filled with rides and is a zoo. This, of course, lends itself to the theming of the park that has over 26 rides, including a themed water park for kids of all ages. The theme park has some of the most technologically advanced rides and the park has an impeccable safety record as well as being known for some of the most thrilling rides in the country. The zoo has some of the most exotic and endangered species know to man so it is educational as well as a whole lot of fun. Chessington provides days of entertainment for the whole family and you might even want to stay over at the hotel that is found on the premises. 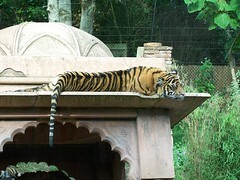 The idea of combining a zoo and a theme park has meant that Chessington is one of the most popular resorts in England. Although the park is only open during the summer months, they do have a special opening in February so that people can learn about the lives of winter animals. It is a great way to introduce your children to the world of nature and nature conservation as well as showing them a great day out. While Chessington may not be one of the largest theme parks in England, it is truly unique in having a zoo on the premises. If you want to get the best rates then you should book online. They also have some fantastic special offers if you are thinking of having a children’s party there or want to go as a large group.